Sudoku Kyoto（Number Place）Free Puzzle Game A total of 13342 puzzles so far. A total of 13342 puzzles so far. 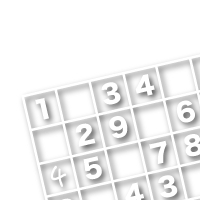 This is a free sudoku game for smartphones and web browsers. We hope you will enjoy it. It gives you seven new puzzles every day. Japanese Daily Sun in HAWAI. A sudoku game with new puzzles published every day. Go ahead and take on the challenge. 100 sudoku puzzles at every level. Feel free to use them when you want to relax and have some fun solving them. 100 sudoku puzzles at every level. The rules are simple. We shall explain the sudoku rules with really easy instructions using 6 images and 90 words. Here we explain the method and tricks to solving the puzzles.